Why Are Vinyl Fences Such a Popular Choice? Vinyl fences are our best-selling fence material for a reason: they look great, are extremely durable, are easy to clean, and can be very affordable too! Vinyl can be offered in a few different style and color options as well, all of which look fantastic! Do I Have to Worry about Discoloration or Weathering of My Vinyl Fence? One of the things that our customers love most about their vinyl fences is the fact that environmental elements (like rain, snow, sun, moisture, and wind) don’t cause the same level of harm to vinyl that other materials suffer. In fact, you should never have to worry about discoloration of your vinyl fence or excessive weathering. The fences that we offer have UV inhibitors and other additives that are designed to protect the fences from wear and tear of harsh weather and from breaking down in the sunlight. How Long Should I Expect My Vinyl Fence to Last? As stated above, we guarantee that this will be the last vinyl fence you ever need! Indeed, the majority of fences offered by Fence Masters are designed to last a lifetime. That being said, we do offer a five-year warranty on all of our installations for fencing and a one-year warranty for gates and back all manufacturing warranties. What Type of Maintenance Does a Vinyl Fence Require? Homeowners that aren’t interested in constantly having to service and repair their fences love the fact that vinyl fences are so easy to maintain. These fences are so easy to clean and take care of – all you need to do is spray the fence down with the hose if the fence accumulates dirt, debris, or grass clippings. Even harder-to-remove materials, such as paint, can usually be removed with a pressure sprayer. You don’t want to buy a fence only to have it break on you. 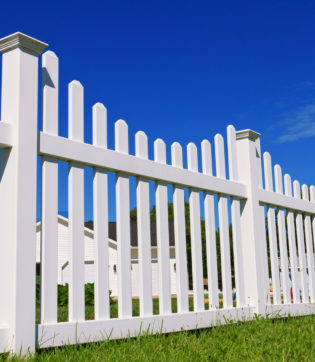 If properly installed, your fence should not break under normal conditions, including harsh weather. The fence will likely only be at risk of breaking if a severe amount of force is applied, such as the fence being hit by a vehicle. How Can I Learn More About Vinyl Fencing? If you think that vinyl is the right choice for your residential fence, call Fence Masters today to learn more. You can reach our office at 708-758-5250, or by sending us a message by filling out the intake form on our website. Summary: If you have been thinking about a vinyl fence, consider the following answers to FAQs about vinyl fencing.